Beauty Sleep Style Challenge – Festival Of Sleep! Hey guys! JJanuary 3rd was the Festival Of Sleep, so Casper, a new company working within the sleep industry by creating memory foam mattresses (invested by Ashton Kutcher and Steven Allen) have inspired me to show you guys what sort of ‘style’ I wear to bed! I guess it differs for me now, but I will post the two different styles here anyway! Since I have been living in Australia, obviously it is a lot hotter than the UK – so I have now opted for a cami top and shorts to keep me cool! 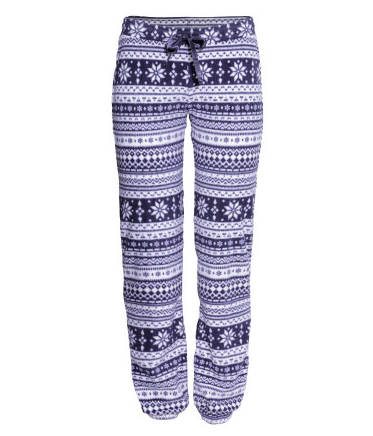 I have this set from H&M which is $29.95, which might still be available from their Australian stores. These are so comfy to wear in the night, but they’re also super cute! Moving onto the UK set of sleepwear! 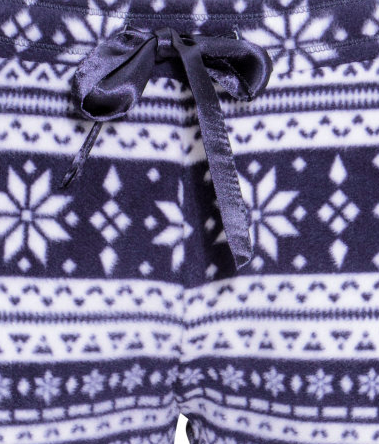 As it’s a lot colder and some nights can be chilly – I tend to go for full bottoms, especially the fluffy fleece ones as they’re so nice to lounge around in and make you feel cosy! I have several pairs of the fleece ones from Primark, but as I haven’t been there for 4 months I haven’t been able to purchase any new ones to show you! So I have found an image of a similar pair! Also be sure to check out the Casper Mattress Twitter page! I hope you’re all having an amazing christmas and will have a happy new year! I wish you all the best and hope you have a lovely day with all of your friends and family. Although I am not with my family this year, I am enjoying my experience with new friends that are in the same position as me, ‘the christmas orphans’. Today, we decided to have our Secret Santa in the morning which was so lovely – really brightened my day up! We then went to Bronte Beach for a few hours, sunbathed (in my case, just plopped myself in the sun and went a little pink) and attempted a BBQ which didn’t happen in the end! Haha! But it was all fun anyway, as you’ll see from my video! Anyway, I will be posting photos from our Australian Christmas tomorrow hopefully! So keep your eyes out for that! A quick little post before I start heading off to Heathrow Airport! I luckily got emailed by a company called Cadburys Gifts Direct, who sell a massive variety of gifts and hampers! They saw my blog posts and were looking for graduates to send a hamper to, so that we could give one to somebody that has helped with our studies and supported us! Amazing idea! I decided to split this with my parents and my two flatmates from Cardiff, as I had my last night out before I leave for Australia. 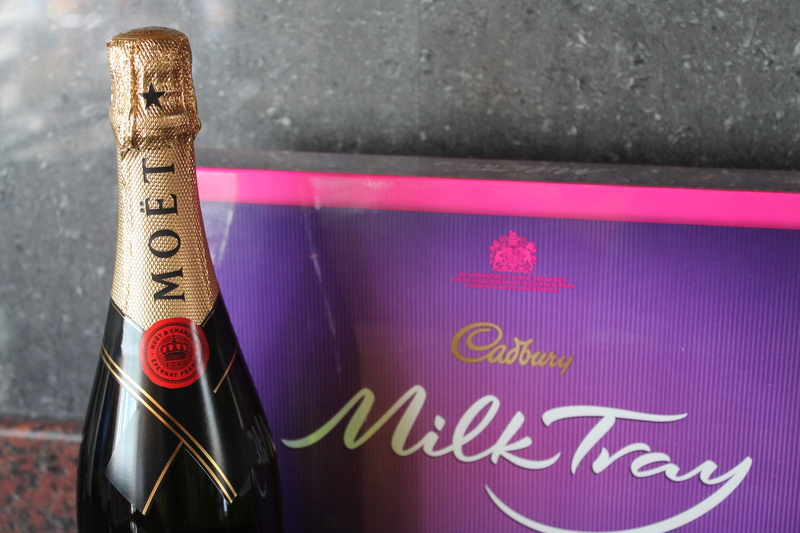 We all got together, had a nice evening with some Milk Tray and Moet & Chandon and then we headed for town! I would like to say a massive thank you to my parents for supporting me with university, especially being understanding of my choice to study Graphic Communication. I have heard that a lot of parents don’t really support Art & Design courses, as they aren’t “academic”.. But I would also like to say a big thank you to my flatmates from Cardiff (David, Jack and Chloe) as they have always been there for me (Jack & David since the beginning). They have put up with me, helped me when I was ill and kept passing out and have even helped when I am stressed out of my brain with uni work! 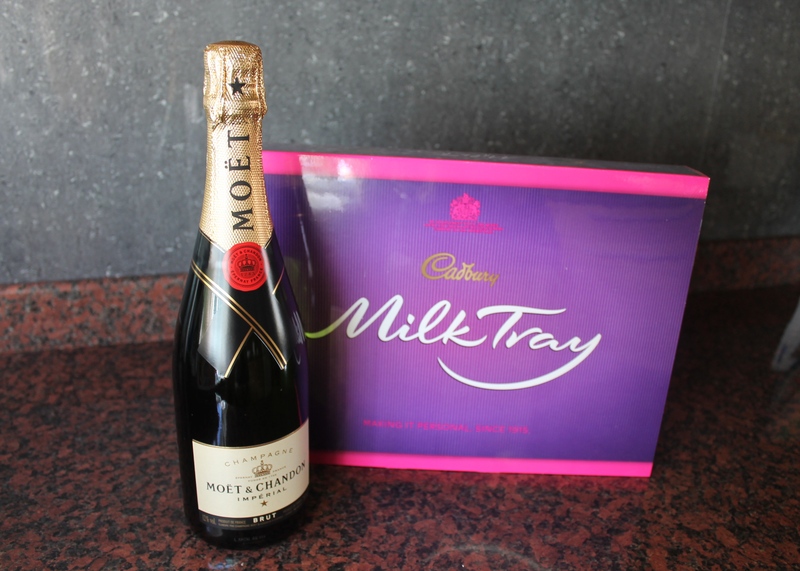 I would also like to thank Cadburys Gifts Direct for sending me this hamper, it was such a lovely opportunity and it came at the perfect timing! So now it is time for me to pack the last few remainders into my backpack and then I’ll be off to Heathrow to book into the hotel! I will be updating you on more of my adventures, but for the time being don’t expect any other blog posts besides my travel updates! I will also be doing a vlog as well! I hope you all take care whilst I’m away and make the most out of the summer (if it’s still here)! I luckily got emailed by a company calling Hemingways, that work together with Cadbury’s for their online gift service. They saw my blog posts and were looking for graduates to send a hamper to, so that we could give one to somebody that has helped with our studies and supported us! Amazing idea! I would also like to thank Hemingways for sending me this hamper, it was such a lovely opportunity and it came at the perfect timing! NEW Starbucks Coconut Chocolate Frappucino! I just went to Starbucks to have a chill. 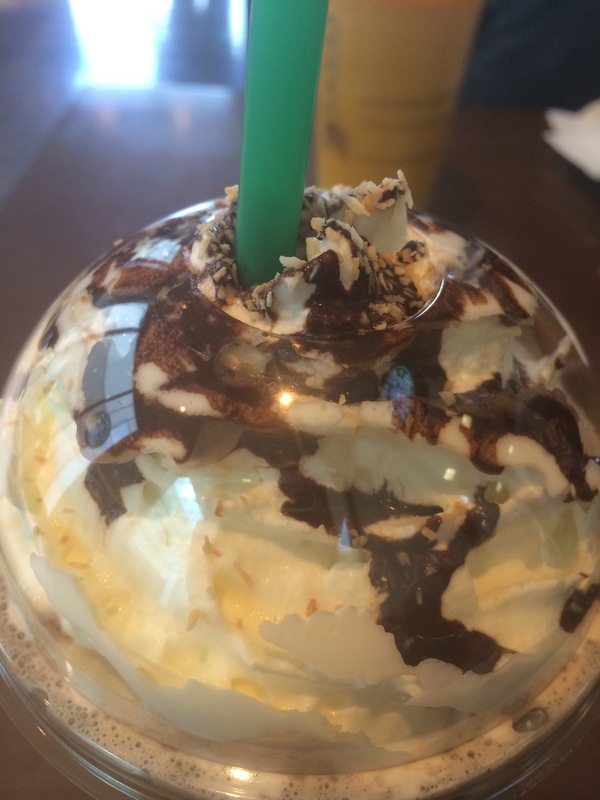 So I ordered a chocolate creme Frappucino, but the lovely people at my local one asked if I wanted to try the new one as I was paying with my Starbucks card! I wasn’t disappointed! It is heaven in a cup, it tastes just like Bounty! It will be out next week for everyone that doesn’t have a Starbucks Card – so definitely go and try it! I’m so glad Starbucks have finally upped their game with frappucinos, as I find the vanilla, caramel and strawberry a bit boring for me!